Glass man to Ironman: Back to basics..
After getting my running up again only to start getting twinges after 8km, so stopped running. It's so frustrating knowing I have done 10k 2x a week at one point an now I can't! To be honest I have had running injuries ever since I got gaited for these overpronation trainers with heels as thick as a loaf of bread! So I have ditched them and got back to my vibrams to run in..barefoot running shoes, no cushion heels, arch support, just your foot and 3mm of errr padding... gloves for your feet I suppose :-). Now the downside to these is that my running millage is down to 1mile, Yup 1 mile! Because after that 1 mile your calf muscles are screaming...this is because you have taken away all the padding, shock absorbing casing of the trainer an relying on your own suspension...your calf muscles. So far I have done 2 miles this week with 4 days recovery in-between as boy I have serious DOMS. last time I used my vibrams I got up to 4 miles but stupidly did some fast runs on hills....bad idea, as my Achilles tendon was still adjusting to the increase length it had to travel I had put too much strain on it an got Achilles tendonitis...8 weeks no running, I had to ditch the vibrams an use the trainers as had two races coming up an didn't have the millage on them to race, I got through the races ok, still niggling injuries after though. 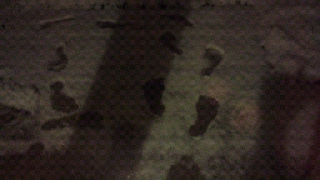 So far I only have sore calf muscles an overtime they will get stronger an less DOMS, just have to resist temptation to run hills or with people wanting a race.....on a fun note we had some snow an running in my vibrams leaves cool foot prints in the snow, love how people look twice at the floor :-). How frustrating are all these niggles! I don't think the winter cold helps, have you entered any events yet for the coming season?? So far its only the Dambuster Oly and lincoln Sprint, supposed to be fitting in a marathon somewhere around sept time if i can get my legs sorted out :-), i see you have signed up for the Dambuster too? :-).